XPace is a space management system for retailers and their suppliers, especially in the non-food, media, DIY and healthcare sectors. We have developed XPace to make space management strategies attractive even for complex POS designs. 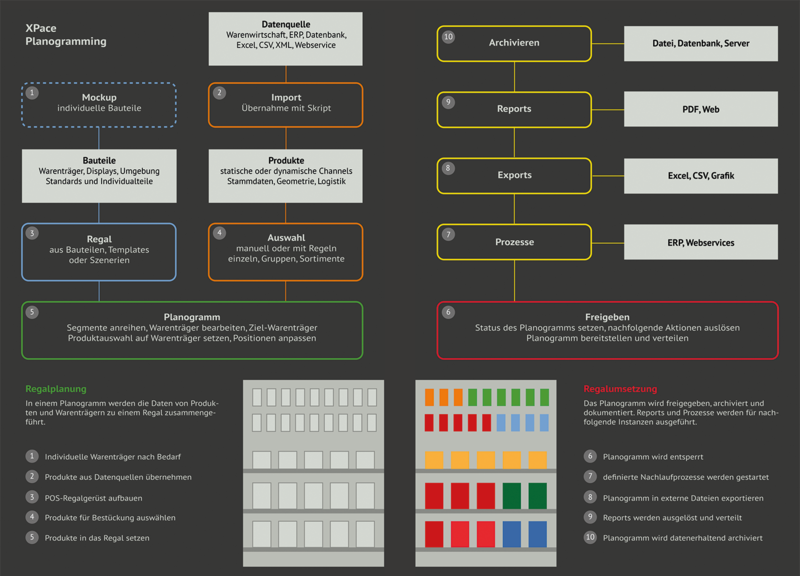 and finally communicating planograms and reports to trade marketing stakeholders and follow-up processes. The goal is to create a shelf that generates high sales and earnings while optimally meeting consumer expectations. As products take up space on the shelf and tie up capital while generating sales and earnings and serving consumer demand, each product is optimally positioned according to logistical, financial, geometric, visual and psychological aspects, taking into account space and time. As point-of-sale products are to be sold and money earned, XPace allows you to make visible the success value of POS planning, what sales and earnings can be expected and whether the planned inventories are appropriate for sales. As products, boundary conditions and customer expectations are constantly changing, XPace Space Management regularly revises shelf planning and communicates the changes to the markets and implements them there. As planograms, images, reports, tables and graphics have to be passed on to rack jobbers, field staff, national companies, trading partners and customers, planogramming data is provided, distributed and collected using digital technologies. XPace is not only a strategic planning and analysis tool, but also the basis for the exchange of all POS data across company boundaries. It also involves the consumer in information technology. 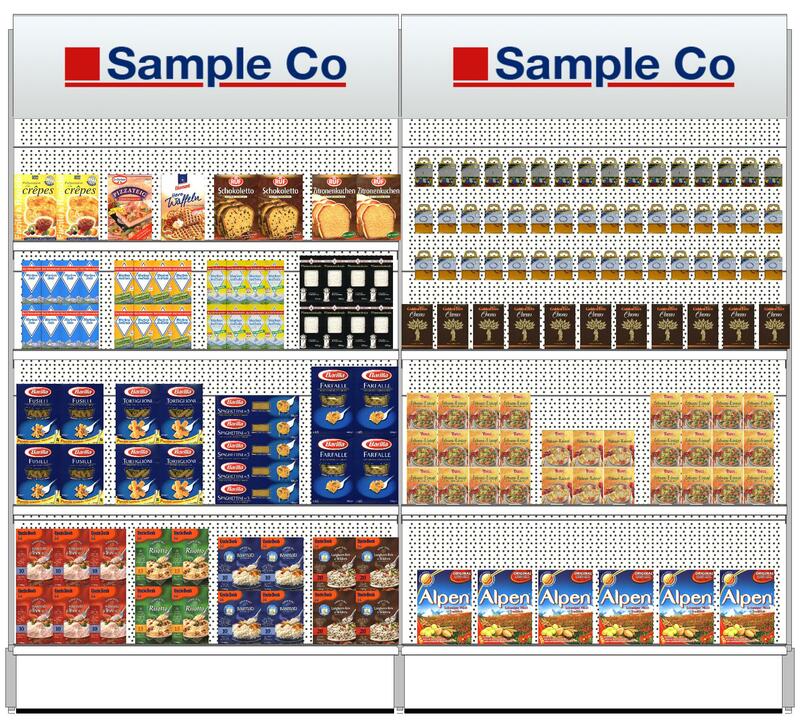 With more than 20 years of experience, we have made XPace a software package that combines realistic shelf planning, practical evaluation and convincing presentation with individual extensibility of its standard methods. XPace contains all functions, algorithms, data structures and interfaces for qualified planogramming. Learn more about XPace’s methodology and procedures.